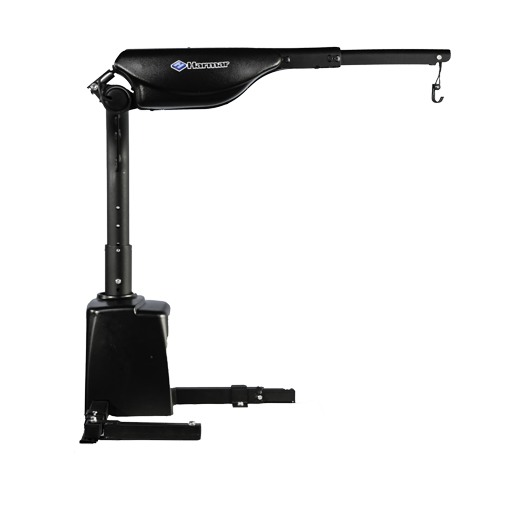 AL425HD is industry’s first 450 lb hoist lift that offers powered lifting and rotation functions that reduces effort to load a large variety of power chairs 400 lbs or greater. Ideal for pick-up trucks and full size vans. 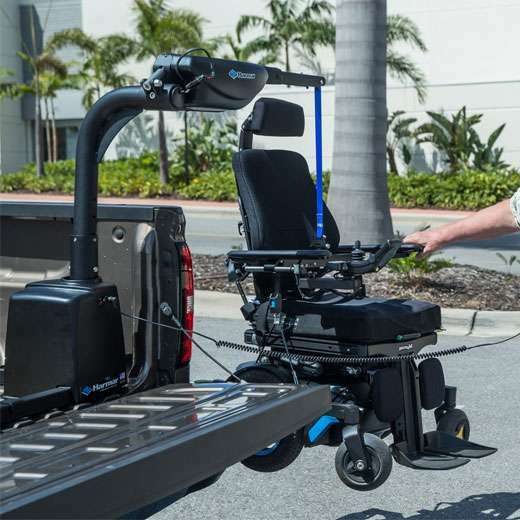 AL425HD is the industry’s first 450 lb hoist lift that offers powered lifting and rotation functions that reduces effort to load a large variety of power chairs 400 lbs or greater. Ideal for pick-up trucks and full size vans. Harmar’s reinforced design makes this a heavy lifter of the more technologically advanced chairs that require a heavier duty (HD) transporting lift. 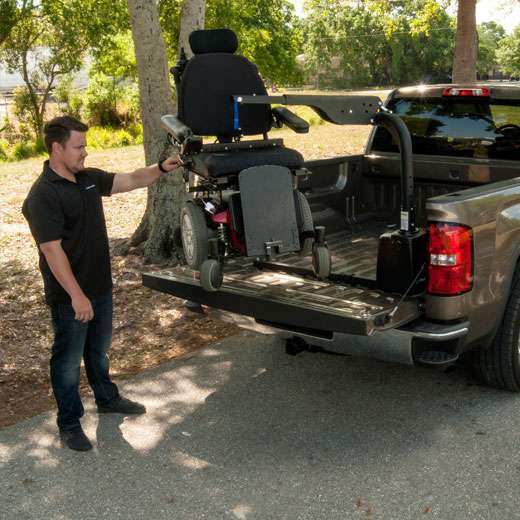 Its lighter install weight, gets the job done without weighing down the vehicle, giving consumers higher fuel efficiency.